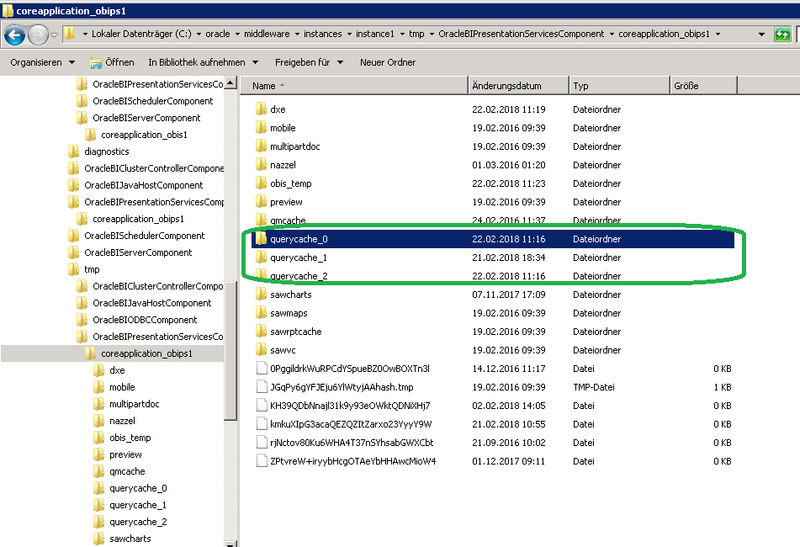 Thus, even when the Oracle BI Presentation Server Cache is not actived, subsequent execution of the same Analysis maybe retrieved from the Oracle BI Presentation Server Cursor Cache which may often mislead the perception of cacheing. 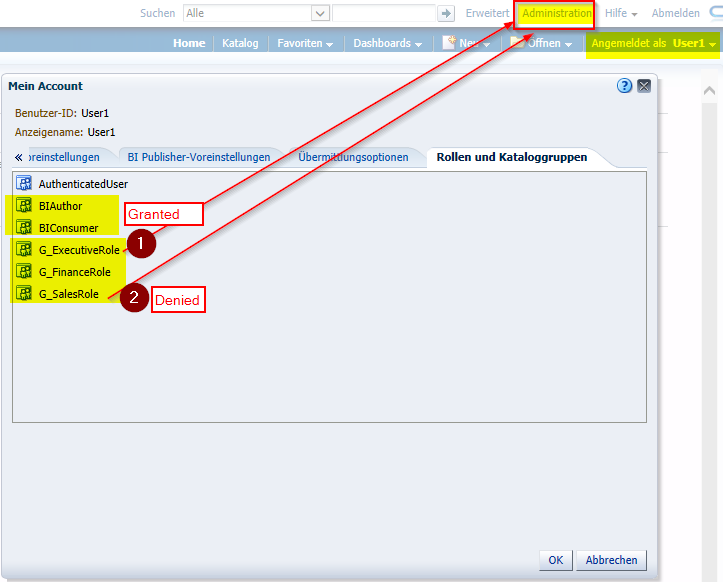 A subsequent execution of the same Report will return instantly (even with no Presentation Server Cache configured) since the Report can be retrieved from the Presentation Server Cursor Cache. 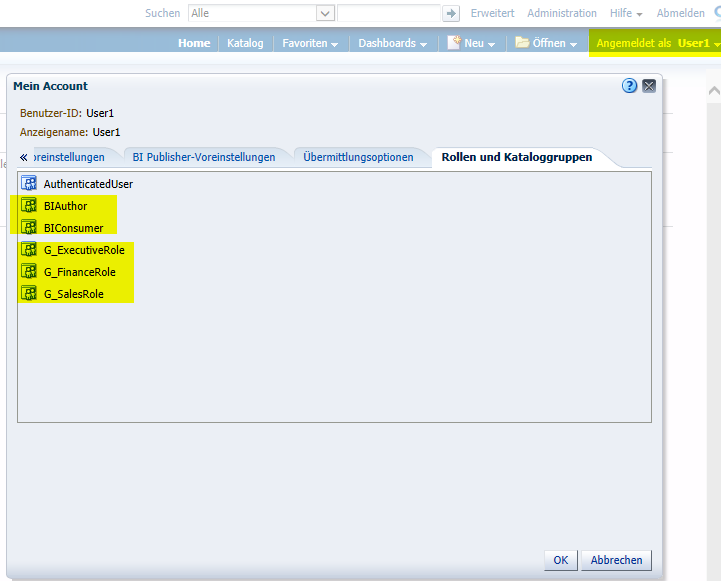 No additional Cursor will be created and only the time of execution will be updated for the previous Cursor. 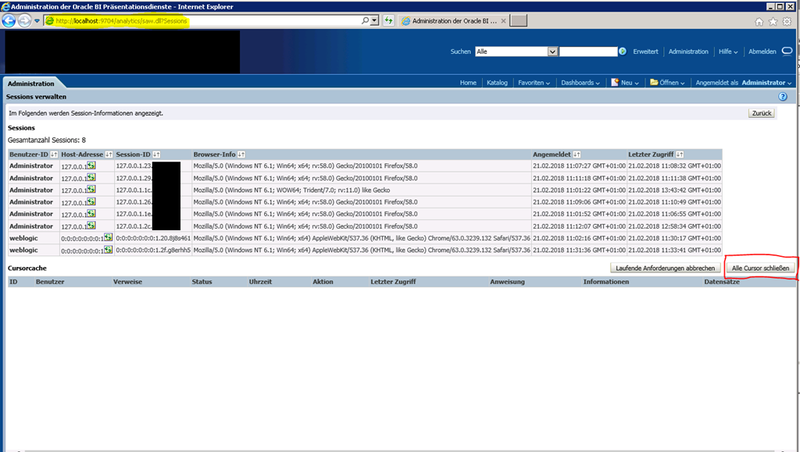 As said before, the Cursor Cache can not be disabled and the Cursor Cache can only be purged manually from the Session Monitor. 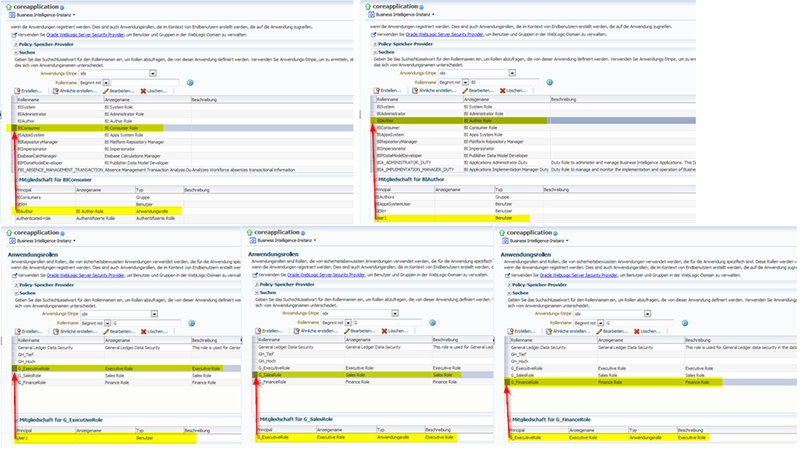 However, a Report/Analysis can be foreced to bypass the Presentation Server Cursor Cache (and Presentation Server Cache) by checking the bypass Presentation Server Cache option on the Advanced Tab of a Analysis. 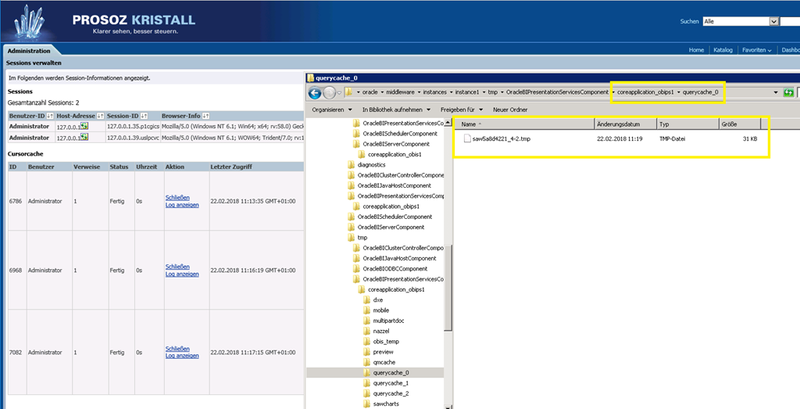 Summary: Even with no Presentation Server Caching enabled, the Presentation Server Cursor Cache will cache result sets to fulfill subsequent Analysis requests from the Client. 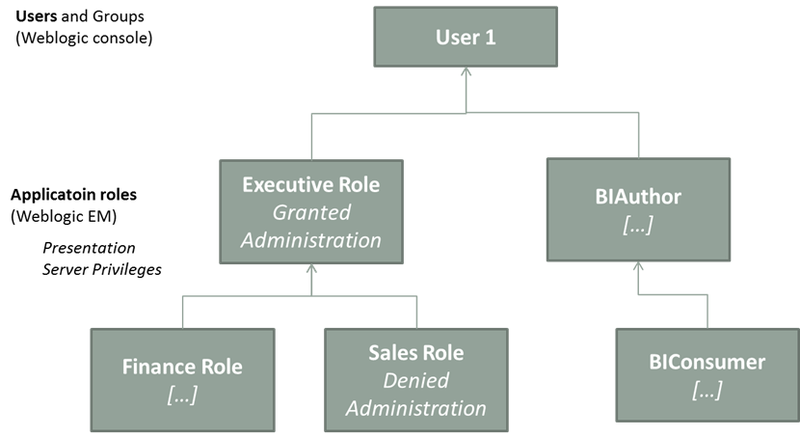 User1 explicitly has the Executive role, and thus implicitly has Finance role and also Sales role. 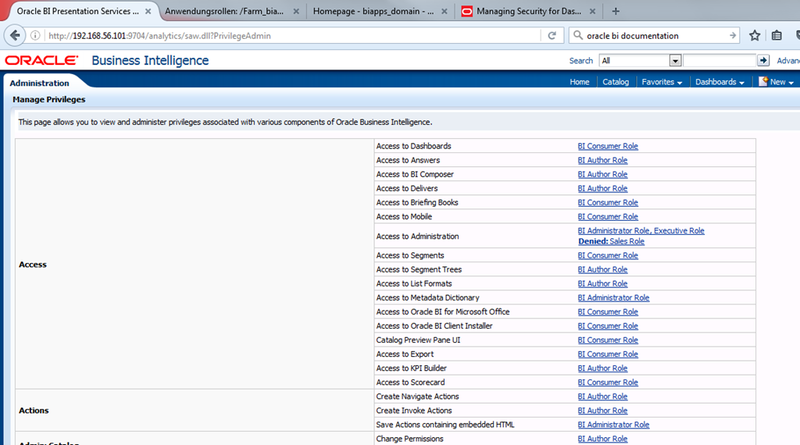 User1 also explicitly has the BI Author role, and thus also implicitly has BI Consumer role. 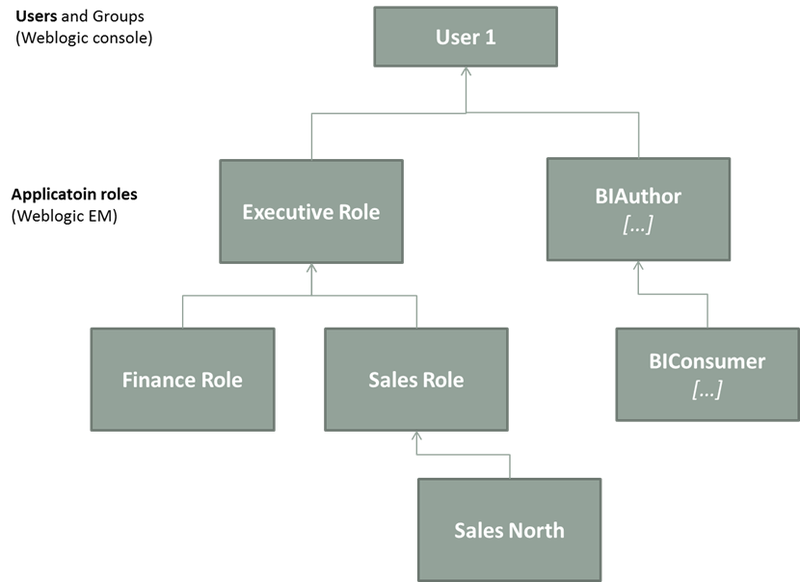 User1’s flattened list of application roles is: Executive, BI Author, Finance, Sales and BI Consumer. 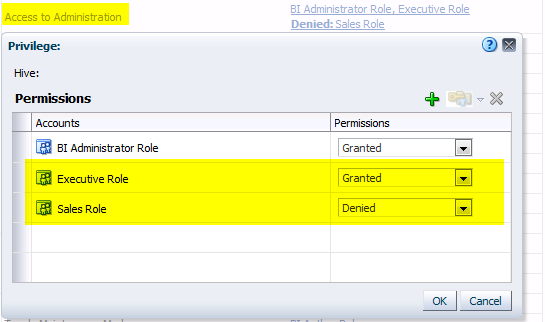 The “Administration Page” privilege is granted for User1 due to the Membership of the Executive Application Role.